Carpal Tunnel Syndrome (CTS) is the leading Repetitive Motion Injury in the United States. It is a common condition of the wrist and hand that can affect the use of the whole arm. It is caused by pressure on the nerve at the base of the palm (median nerve). Factory workers, musicians, artisans, secretaries, bodybuilders, typists and many others are all prone to carpal tunnel syndrome. The Course provides information on what causes carpal tunnel syndrome, the truth about carpal tunnel syndrome and strategies to help prevent carpal tunnel syndrome. Gain insight, more knowledge and answers … help your clients with effective ways to minimize stress to the hands and wrists and preventative exercises to help prevent carpal tunnel syndrome. Review the facts about wrist pain and carpal tunnel syndrome. Understand the causes and symptoms of carpal tunnel syndrome. Examine the anatomy of the carpal tunnel and surrounding muscles. Learn signs of carpal tunnel syndrome. Discover why the source your pain can be as far away as your neck. Find out when surgery is and is not necessary. Explore treatment options for carpal tunnel syndrome. Learn what can be done to reverse carpal tunnel syndrome symptoms. Gain knowledge of how to prevent carpal tunnel syndrome at work. Gain knowledge of good exercises for carpal tunnel syndrome. Learn lifestyle and home remedies. 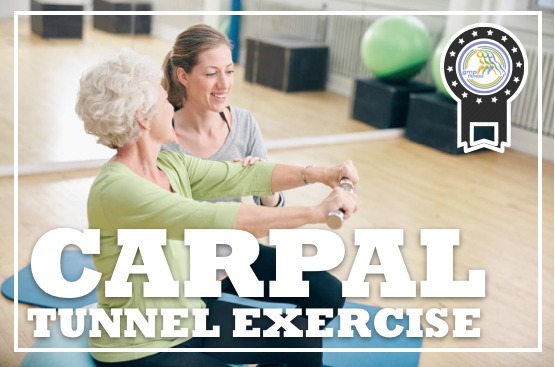 Amplify knowledge of exercises to help prevent carpal tunnel syndrome. ✓ 25 question online true/false and multiple/choice final exam. Online education allows you to complete the course anytime and anywhere you want – you just need internet access and basic computer knowledge. All content is 100% online and can be viewed on your computer or tablet. It can also be viewed on your smart phone, but it is not recommended.